Here are Gaming Reinvented, we’ve interviewed quite a few people from the fan game community. There was one with Feguelion about Mushroom Kingdom Fusion Revival, DJ Coco about Paper Mario 3D Land and Judge Spear about Mushroom Kingdom Fusion and Super Mario Fusion Revival. But while those were all interesting interviews, here’s one that’s a bit different. 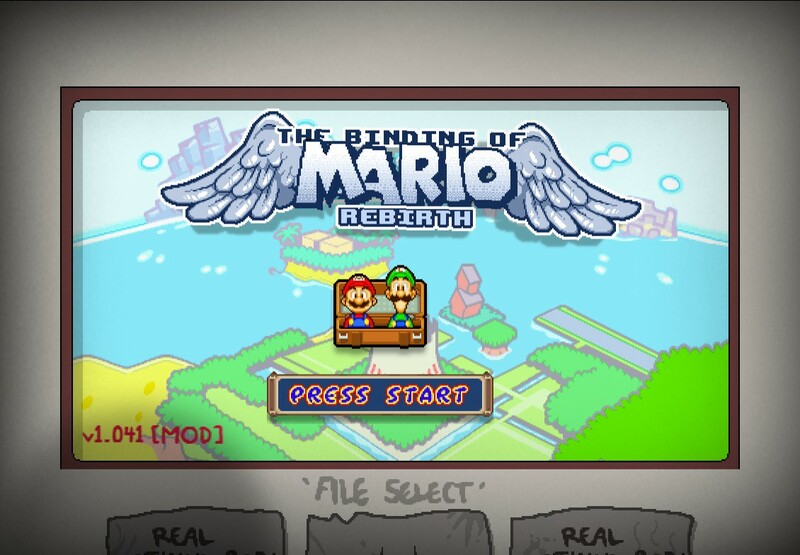 Basically, The Binding of Mario is a mod for the action adventure/dungeon crawler game Binding of Isaac, a controversial title based around Christian mythology. As you’d expect, it adds a Mario style twist to the affair; Isaac is replaced by a cast including Mario, Luigi and Peach and they have to battle off a bunch of monsters from Bowser’s army to save the day. It’s not on Mario Fan Games Galaxy or SMW Central, it’s not a traditional Mario platformer or RPG, but it’s a very interesting mod that definitely deserves some more attention. Above: It can be found in this Reddit topic. 1. Who are you guys? What is your background in game development? Armando: I always have been interested in Game Development. Started with simple flash games, most of them were platformers. I’m now learning how to program in Java and make my own games, using my own content and my own ideas, something that I wanted to do a long time ago. Wolter: When I was younger, I used to make RPG maker games all the time. Later on, I took a course on programming on a Game Design course here in Brazil, and learned a bit of Flash and Lua. I had to left the course because of time restraints, but I didn’t stop making personal projects. 2. 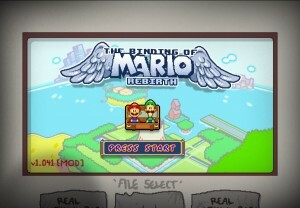 What made you decide to make a Mario themed mod of Binding of Isaac? Armando: When I discovered how to “mod”, I wanted to re-skin the game into a Legend of Zelda theme, but there was already a Zelda mod project. Then I had the idea of making a Mario themed mod, and since nobody was making it, I decided to release a test version that if the community liked it, I would continue. Wolter offered to help, and he started making stuff along with me. 3. How did you design the levels and bosses? What is your level/game design methodology? Above: Most of their bosses (like this Fawful one) are sprite swaps of the original ones. Very well done choices though. 4. Given that Binding of Isaac is an M rated game, do you ever think it’s odd to make a Mario version? Armando: Kinda, but that’s the fun of that. You’ll never expect to see a thing like this. 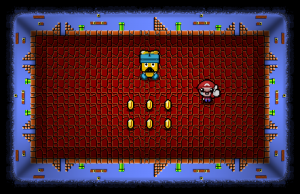 It was really fun when I made the first character (Mario) and see how weird and cool it looked. 5. 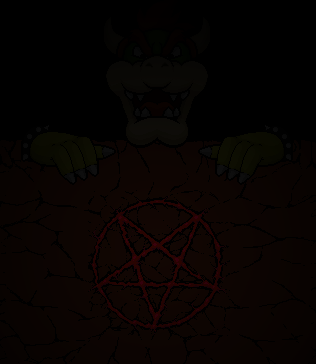 How many of the ‘darker’ elements from the actual Mario series will make it? Anything from Super Paper Mario or Mario & Luigi Partners in Time for example? Wolter: At the start, we wanted to make it as focused on the “Mario & Luigi RPG” series as possible. Later tough, we started putting stuff from the other mario games like Galaxy and SM64. We want to add more M&L stuff and for sure, Paper mario stuff. Shroobs are already scheduled to appear! 6. We saw Fawful in one picture. What other RPG characters will make it in? 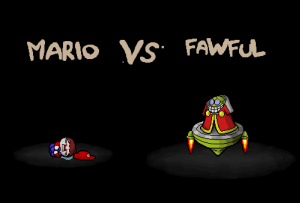 Above: Fawful made it into The Binding of Isaac. What other Mario RPG characters will? Wolter: I would love to see Petey Piranha and the Shroobs, possibly enemies from M&L Dream Team. 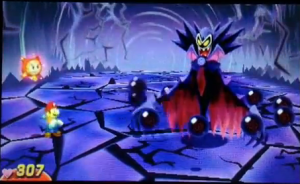 Above: Given his status as the ‘King of Nightmares’, maybe Antasma could make a good boss for this game? 7. What do other fans of Binding of Isaac think of this mod? Armando: I was surprised when I launched the first release. I seriously expected comments like “it’s ok” or “the spritework could be better” or things like that. Like negative comments, I mean, the first release was almost empty, 3 characters and one floor. Wolter: People have really liked the mod so far, because of the spritework, use of music and creativity for enemies, items etc. People also send us suggestions, and that helps a lot. 8. Many fan games and mods are difficult to beat, and I hear Binding of Isaac itself isn’t a cakewalk. How difficult is this game in general? Armando: It’s not really hard. The only hard part is trying to avoid taking damage, but the rest of the game is more luck based than dificulty. You will never know what room will be the next, or what item you will get, or what boss are you going to fight. Discovering what item does what is also part of the fun. 9. Have you tried to market the site anywhere other than Reddit? Where have you done so? 10. So, the game seems to have a fair amount of custom art. Who made it and what was their logic behind the current designs? 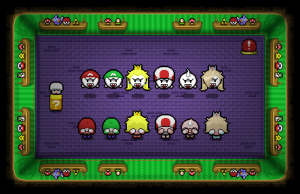 Above: Some of the interesting Binding of Isaac style takes on classic Mario characters. Even E Gadd and Rosalina! Armando: Both of us. 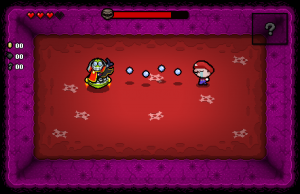 We are always making custom art and sometimes looking for sprite resources to adapt them to the “Isaac style”. We work together in most of the sprites, sometimes one makes the drawing and the other works on the color and the shaders. 11. Did you encounter any notable difficulties while making this game? Armando: As I said before the modding limitation. There is no way to add new characters or new items (there is a way to make new enemies, but I personally couldn’t make it work). Sometimes we need to throw away ideas because of those limitations. 12. Why did you choose Reddit to market the game instead of a website or a fan game site or a social network? Armando: Well as I said before, I never had the idea of posting anywhere else. But I choose Reddit because there was where I’ve learned how to mod and they were always helping other modders and posting new discoveries. 13. How do you plan to avoid the game getting shut down by Nintendo or the likes? Wolter: Since we aren’t asking for money with it (and we don’t plan to do it), there is no risk of Nintendo claiming rights. 14. Do you have any advice for other game developers? What is it? Always practice and try to improve on something that you do and love doing, try to be original and do something different. Also listen to feedback, that’s pretty important. 15. Once the game’s been completed, what do you plan to do next? Armando: I have no plans, I’ll keep studying and probably make my own games soon. Wolter: I’m currently learning unity and I’ve got some projects on the paper. Hopefuly I can find people interested in making games along with me, and hopefuly Armando can join me in the fun. And that’s all we’ve got for now. Thanks to the Binding of Mario team for agreeing to an interview with Gaming Reinvented, and we wish them all the best of luck with their awesome project. Hopefully it gets completed with many more neat references to the Mario series, and eventually includes a fair amount of custom reprogramming for the game as well. Nintendo Fans are Making The Binding of Mario!